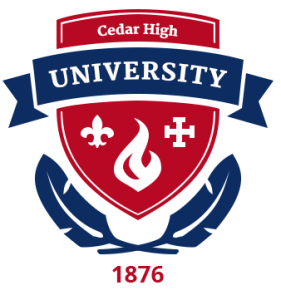 The original board of trustees laid the groundwork for what would become today’s Cedar High University on July 9, 1876, when the group gathered to hold the University’s inaugural board meeting and drafted the University’s articles of incorporation. This guiding document outlined elements the founders believed would build an enduring legacy for the University: a commitment to offering a rigorous academic program and an ambition to provide “opportunities for all departments of higher education to persons of both sexes on equal terms.” On September 10, 1876, the State of California issued the University’s official certificate of incorporation, marking the formal beginning of the University’s life. The Cedar High University fulfilled Christopher’s dream, quickly becoming a national leader in higher education and research: an institution of scholars unafraid to cross boundaries, share ideas, and ask difficult questions.